A traditional ruler in Nasarawa state, Dr Bala Angbazo, the Aren Eggon of Eggon Nation, has urged politicians to shun politics of bitterness and acrimony for a better Nigeria. According to him, politics devoid of bitterness and rancour will go a long way toward promoting peace ahead of the 2019 general election. The monarch made the call on Saturday while receiving Dr James Angbazo, an APC governorship aspirant in the state. Represented by Waziri Eggon, retired Justice Ahmed Ubangari, Angbazo wished the aspirant well in his political ambition. “My duty here is to bless and wish you well in your political carrier and urge you and other politicians to always avoid politics of character assassination in the interest of peace and for the overall development of the state because peace is priceless, non-negotiable and is the necessary requirement for the development of any country,” he said. He advised Nigerians to live in peace with one another irrespective of their ethnic, religion and political differences. The first class monarch also appealed to parents to provide good education for their children for the overall development of the country. He said that the development of any society depended upon the quality of education of the people of the area. He added that education remained the best legacy parents and government could bequeath to the young generation of the society. Earlier, James said that he was at the palace to seek the “royal blessings and prayers” of the monarch for a successful political experience. “I am here to seek your royal blessings and prayers and to seek God’s intervention to enable me succeed in my desire to vie for the governorship position of the state come 2019. 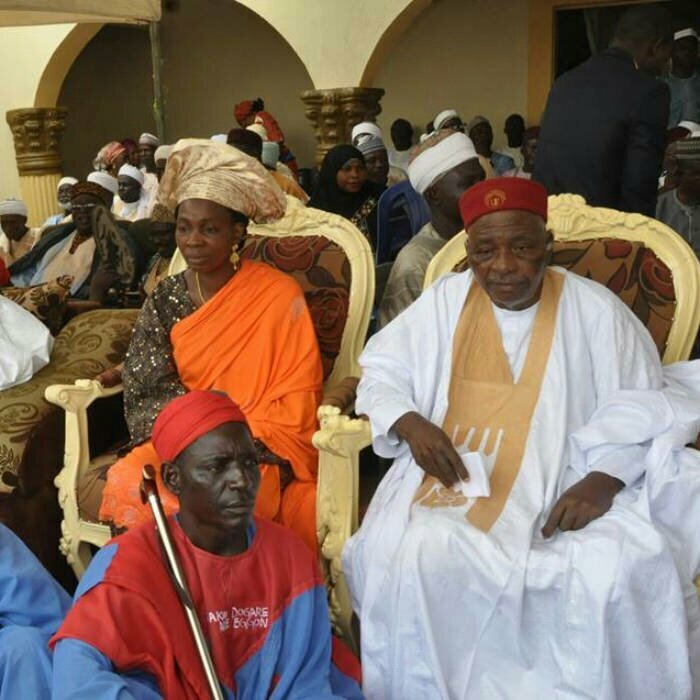 Angbazo assured the monarch and the people of the state of his readiness to play the game according to its rules in the interest of peace and development.